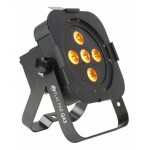 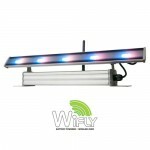 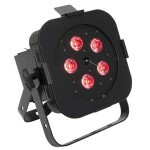 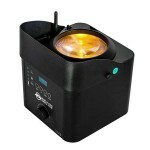 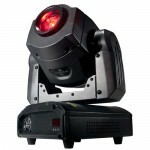 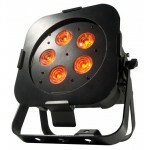 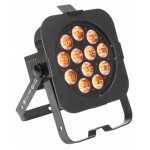 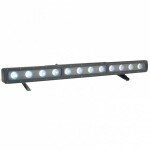 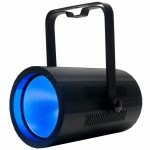 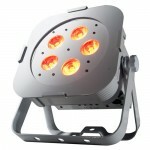 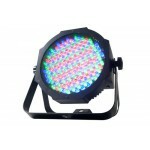 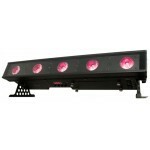 The ADJ WiFLY QA5 IP is an IP65 outdoor rated compact Wash Fixture with ADJ’s WiFLY wireless DMX built-in. 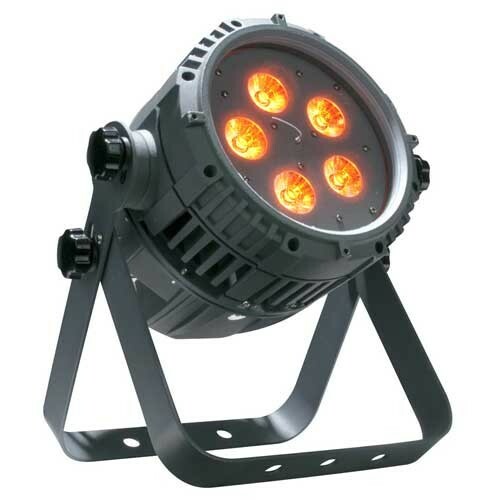 It offers the power of 5x 5-Watt RGBA Quad LEDs (Red, Green, Blue & Amber) to create rich hues and smooth color mixing for stage or wall washing. 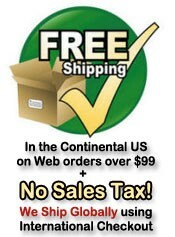 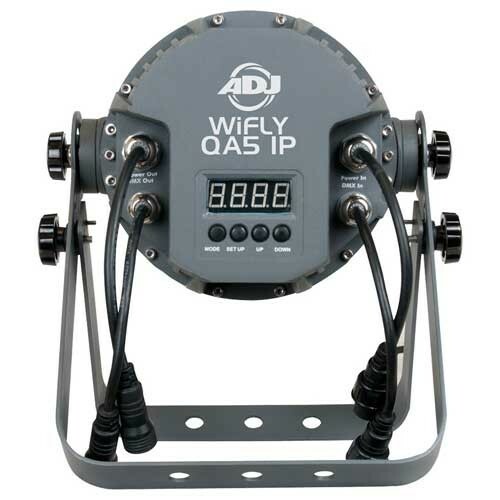 ADJ’s WiFLY Transceiver will communicate up to 500 feet (open line of sight) with the WiFLY QA5 IP.